Artificial Intelligence (AI) and Machine Learning (ML) have joined forces to create a splash in the e-commerce world. Since Facebook is the most widely used social media, combining AI and ML with Mark Zuckerberg’s brainchild would result in an explosive online retail tool. 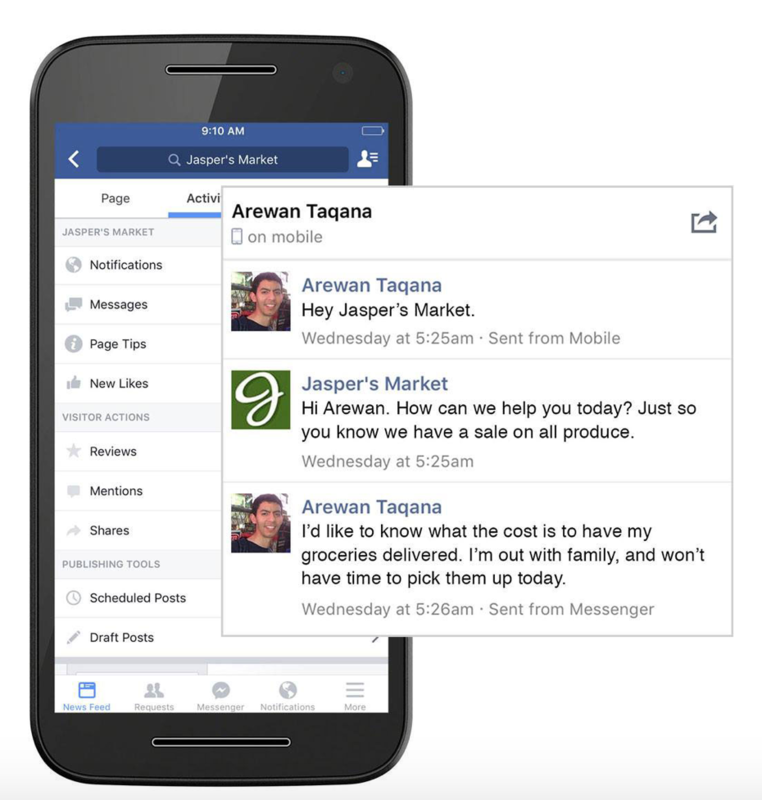 Using Facebook Messenger for online shopping and other e-commerce activities isn’t just convenient, it also feels organic. 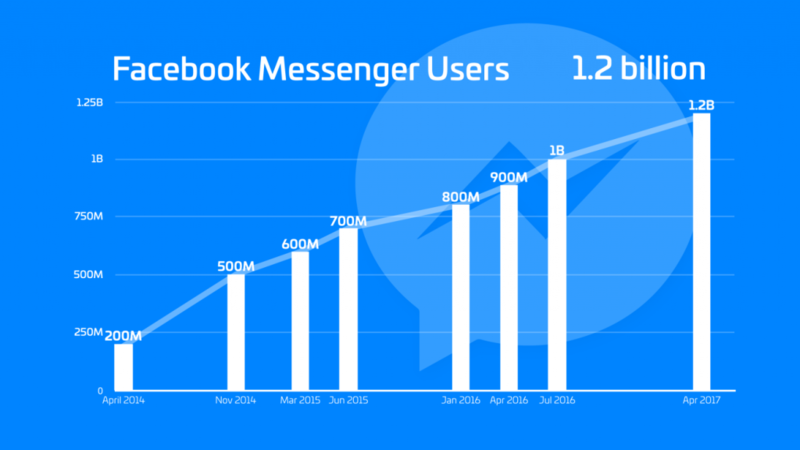 With 1.2 billion users, chatting about buying and selling through Facebook Messenger is just a natural progression and the next milestone in the history of e-commerce. Thanks to chatbots, customers can order products, ask questions, be notified of shipments, new products, and other events within Messenger. Online retailers can have an always ready, salary-free employee standing by to answer any questions and keep customers updated and engaged with informative and entertaining messages. While today’s Facebook chatbots have just begun flourishing, we can expect to see more improvements on a daily basis. The best thing is, it doesn’t take any prior programming skills to setup Facebook chatbots. There are ready-to-use online tools to create these bots. Among them are Conversable, It’s alive!, Chatfuel, Botsify, and Sequel. Once the chatbot has been set up, you can immediately tap into the power of Facebook and the “magic” of bot-powered chat conversations. Facebook Messenger is a community of 1.2 billion members, and Facebook itself is a network of more than 2 billion users, all of them ready to buy. 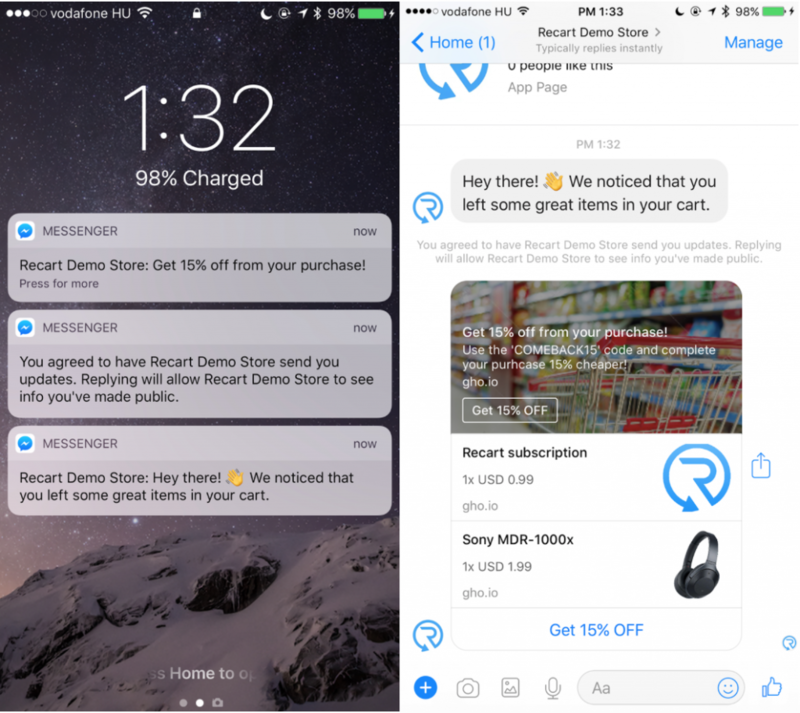 Now, let’s discuss how online retailers can use Facebook Messenger chatbots to increase sales. Later, we’ll discuss the best practices of using them and some popular examples of Facebook Messenger chatbots. There are at least nine uses of Facebook Messenger chatbots to increase sales, and most of them are pretty self-explanatory. Chatbot messages can be used like e-mail newsletters to inform users of product developments and events. Chatbots are handy and accessible most of the time, making them an attractive alternative to e-mail campaigns. 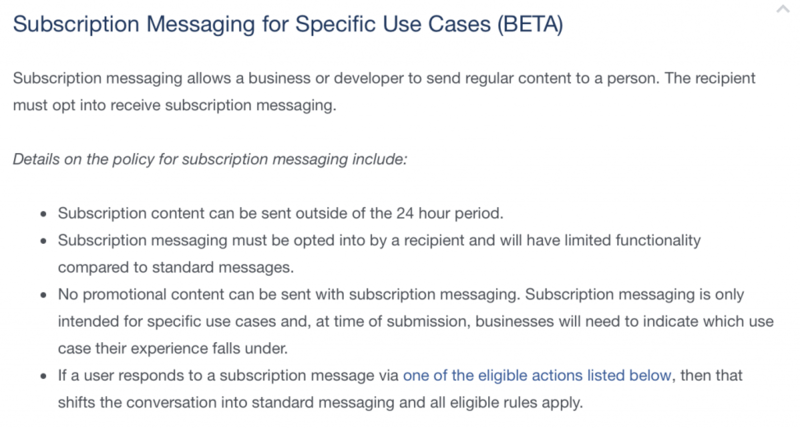 You have to be careful on the promotion side of things as right now Facebook isn’t permitting promotions outside of the initial 24-hour messaging period (read more here). Often, prospective customers need someone to answer questions before they decide to purchase. Chatbots can do this job well by answering frequently asked questions with pre-written scripts, such as prices, delivery time, and other common questions. Make sure to include contact information for more in-depth questions requiring human answers. You can close sales with chatbots through responses that lead the customer to the right product for their needs. However, if the options are too complicated it might require the involvement of a human employee. Overall, it’s possible to have a chatbot close sales, as long as the products can be described with guided responses. Customers might have questions prior to, during, and after sales. Also, they have to communicate about orders, products, shipment, delivery, and others. With chatbots as the “first line of customer service,” human employees can help with things that the bots can’t handle, such as more in-depth requests and specific things that can’t be pre-set as scripts. 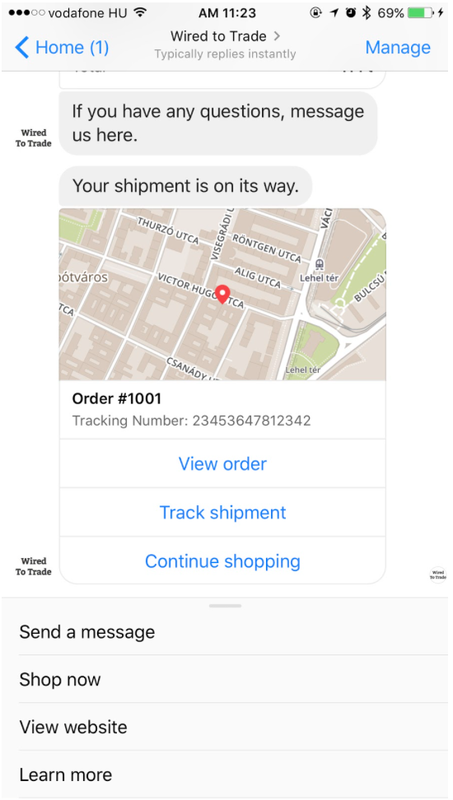 Chatbots can certainly assist with order confirmations, as such requests are usually simple and can be directly linked to customer receipts. Having this feature would greatly help online customers as it provides them with a sense of security. Selling other products of higher prices (upselling) and similar prices (cross-selling) would increase revenue, and since Facebook users have their demographic information already recorded in the system, retailers can target prospects of similar demographics. The key to success is upselling and cross-selling in moderation, so it doesn’t feel pushy to customers. Retailers can send discount coupons and rebates via chatbots to existing customers and those who have contacted them. It works just like e-mail newsletters, but it’s handier and people tend to open their Facebook Messenger more often than their e-mails. Some retailers use chatbots to deliver marketing content, which is crucial in nurturing a positive relationship with customers. Some examples of content marketing with chatbots include customized product preferences and educational content that’s designed to enhance user’s lives, like recipes, book summaries, and short videos. These eight best practices are key to human-centric chatbots that sound like humans and can earn customer trust. Trust is important here, as online retailers need to provide as pleasant a buying experience as possible, which can translate to future repeat orders. Store owners can communicate with Shopify through Messenger to get help with any issues they’re having with their stores. Need to order flower bouquets? 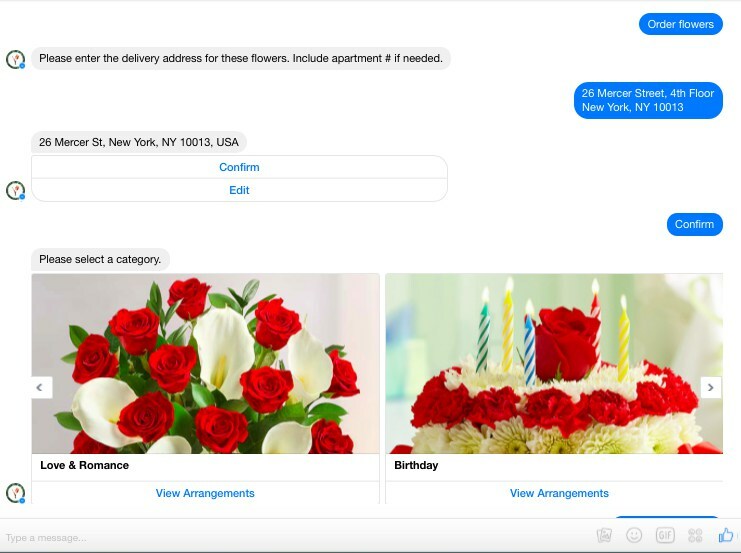 Chatbots are ready to serve with their long lists of bouquets for every occasion. 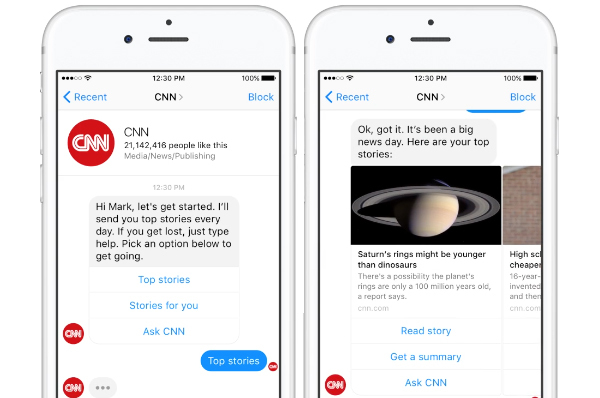 CNN chatbots can keep you updated with the latest news and stories, so you’ll always know what’s going on in the world. 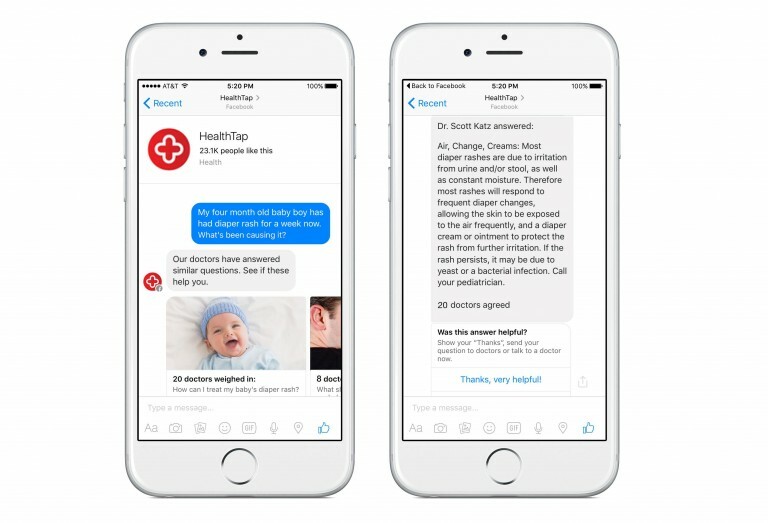 You can ask simple medical questions to the chatbot, but you need to always check with your family physician for a diagnosis. 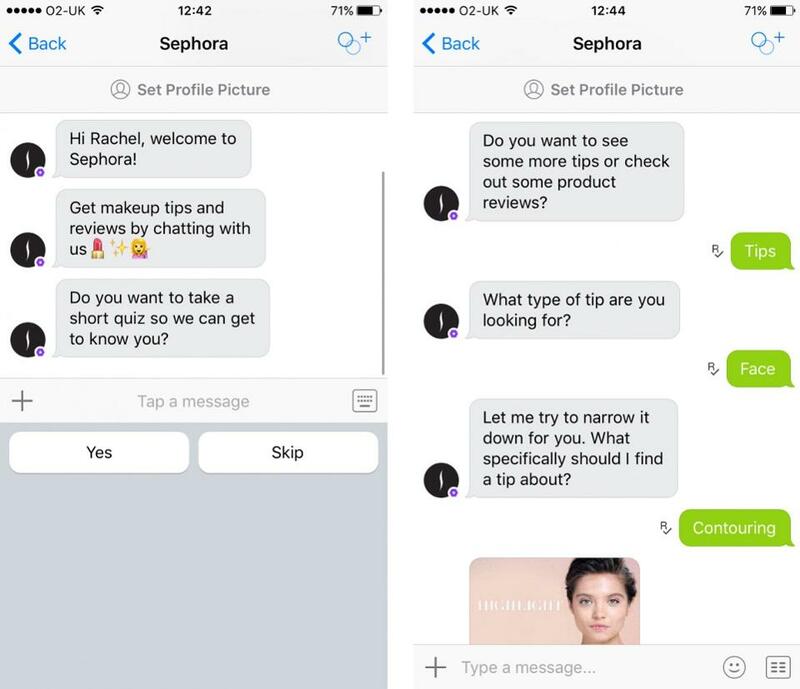 Sephora’s decision to use Facebook Messenger chatbot is a wise move. Now millennial customers can conveniently ask makeup-related questions and make appointments for a makeover with the bot. 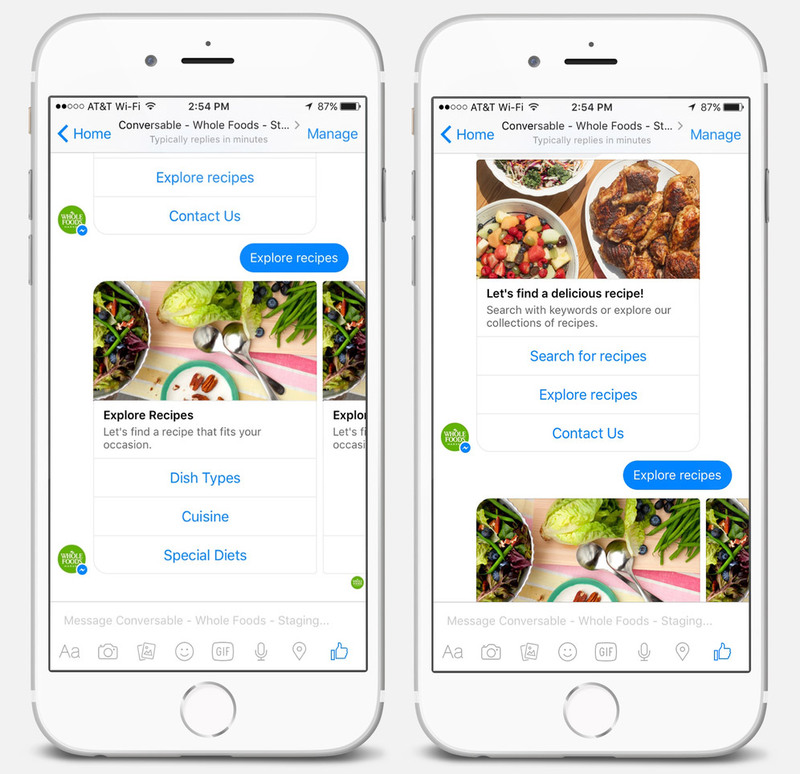 Whole Foods use chatbots to deliver recipes and other custom contents in addition to customer service activities. 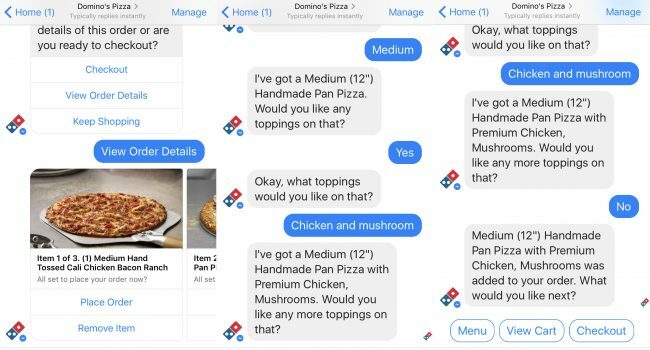 Domino’s Pizza chatbot is used to answer common questions, like how long the pizza will arrive and even offer a full menu through chat for easier ordering. In conclusion, more and more online retailers and publications are using Facebook Messenger chatbots to build an audience, generate leads, approaching prospects, close sales, upselling, cross-selling, and delivering marketing content. Chatbots are simple to setup, easy to use, and feel organic to Facebook and online chat users. If your business hasn’t started using chatbots, consider setting up one soon. It doesn’t require any programming skills and the costs involved are minuscule in comparison to the benefits and the potential of the sales increase. Let’s join the chatbot revolution! 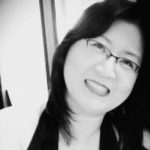 About the Author: Jennifer Xue is a columnist and a digital strategist for Oberlo. She is based in Northern California and her blog is JenniferXue.com.